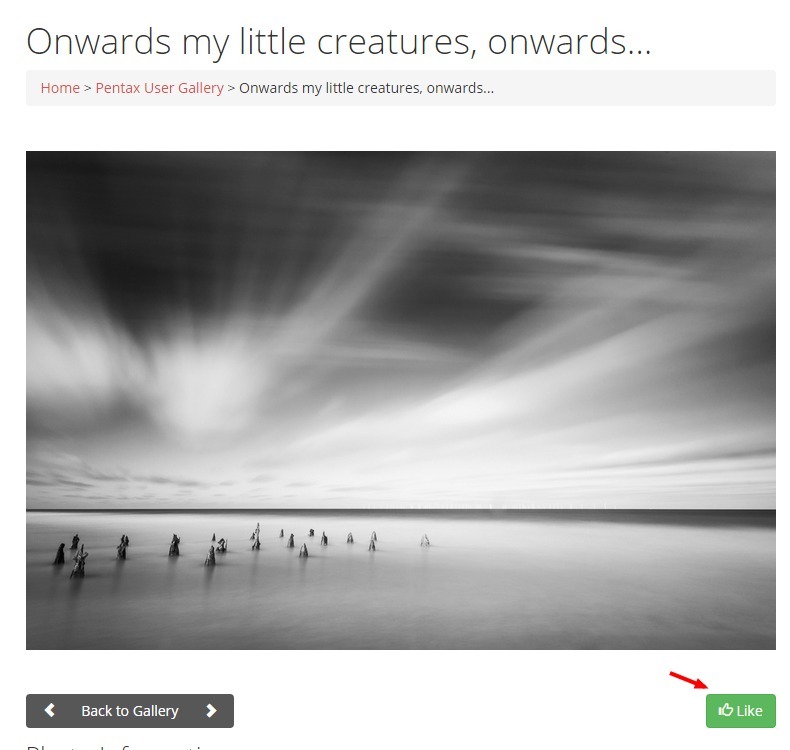 We are pleased to announce that we have introduced a 'Like' button into the Pentax User gallery. This commonly requested feature allows any Pentax User member to show their appreciation for a photo by simply clicking the 'Like' button. Along with this, we have also added a way to sort photos in the gallery by likes. We hope everyone enjoys the new feature and if you have any questions, feel free to ask. Having problems? We're here to help! Contact PU Support. Good to see a useful new feature, thanks. It will help to provide a more select option for people, as well it will encourage at least some participation for those many who don't feel comfortable writing feedback commentary. Any chance we could have the number of views a thread has had back plus many months ago you did say a go to last read post button would be possible. ? From what I have seen, there can be any number of (positive) comments but next to no 'likes'. One would have thought it would be the other way around - see Nigel's comment above - as it is far easier to look, like and move on. Something odd going on here? I think it's great that people will stop and comment, which is even better than pressing "Like". What the new button gives me though is the chance to make a positive thumbs up to an image when time dictates that there's no opportunity to comment. Or maybe sometimes that thumbs up is all that's needed and adding words would just be being verbiose. My old school had a magazine called Verbiage. The sixth form put out a spoof called Garbiage. That's just an afterthought, it sprang to mind then when I used the word verbiose and made me smile, apologies for demonstrating verbiosity in the process. John. Many moons ago a teacher once told me. I was inebriated with the exuberance of my own verbosity. Sorta' reminds me of you. Vic, if there had been a "Like" button to press on your post, I would have pressed it! John. "VERY VERY STRANGE HAPPENINGS" I just had an email yesterday 06/05/2016 saying I wanted to be updated on a forum topic. It was this one. A little late don' you think??? I did read it originally back on 04/07/2015. What is going on@?????????????????????????? Thanks John. I wondered what was happening. CHEERS Vic. John. I think this needs your deft touch on the delete button. CHEERS Vic.